Woman: Breaking The Rules is a project celebrating women in Greater Manchester music. The project, which comprises 6 short films, a pop-up exhibition and several events, is part of our Heritage Lottery-funded Rebel Music programme and is led by MDMA co-founder Alison Surtees. Through our social media networks we held a vote to determine which 5 inspiring women in Manchester music we should approach to feature in our short films. A whopping 718 people voted. Yvonne Ellis won the 'technical' category for her decades of influential work as a music producer and sound engineer. In the film she talks about her work in studios ranging from Strawberry in Stockport to Quincy Jones's studio in Los Angeles. Melanie Williams won the 'writing' category for her work as a songwriter. In this film she describes her journey in the music industry with bands such as Temper Temper, Sub Sub and Butterfly Jam. Kate Mountain won the management category for her 18 years as owner/manager of The Roadhouse, one of Manchester's most loved live music and club venues in recent history. Elspeth Mary Moore won the image maker category for her highly acclaimed music photography. In the next few weeks, we'll be bringing you the final film featuring Denise Johnson (vocalist). We also filmed our panel event at this year's Louder Than Words Festival, Black Female Voices: shaping the sound of Manchester music. 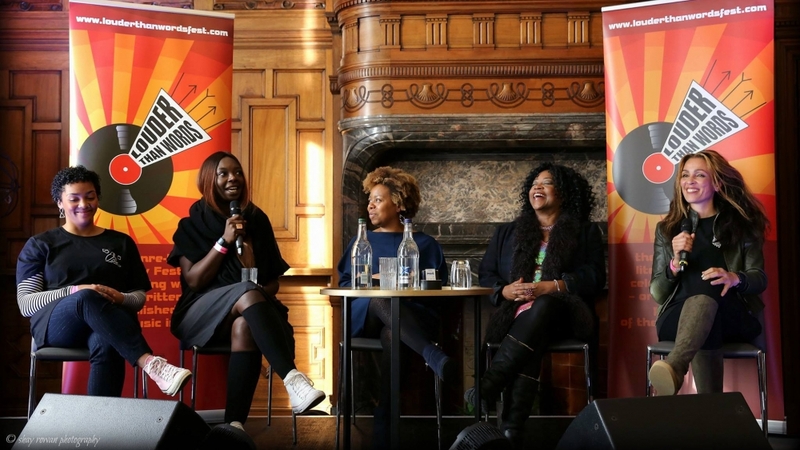 The panel discussed the challenges black women face in getting their voices heard, and shared stories that highlighted their influence on the sound and words of Manchester music across the decades. The panel chair was TV producer, radio presenter and documentarian Karen Gabay (BBC/ITV). Watch the Black Female Voices film here.